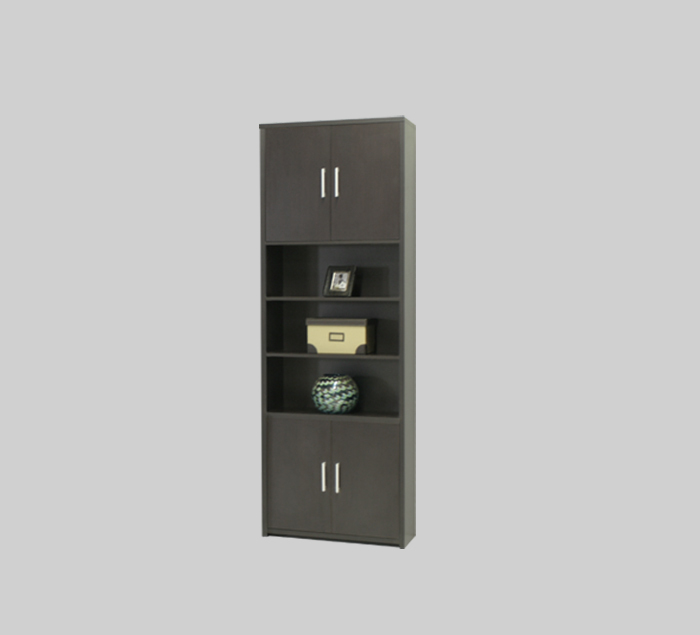 Alone or as a companion to the Stockton Entertainment Center, The Stockton Display Pier is a clean, sharp unit designed for both display and storage of living room essentials. Three open display shelves display knick knacks and accent pieces, while double cabinet doors above and below conceal adjustable shelving for media or other items that should be easily accessible but out of plain sight. Pictured in Wenge finish, all pieces in the Stockton collection are available in additional matte finishes to prefectly complement any modern or transitional space.